TotalPond’s Container Fountain Kit with LED gives you everything you need to turn your favorite planter into a one-of-a-kind fountain. Available at The Home Depot. 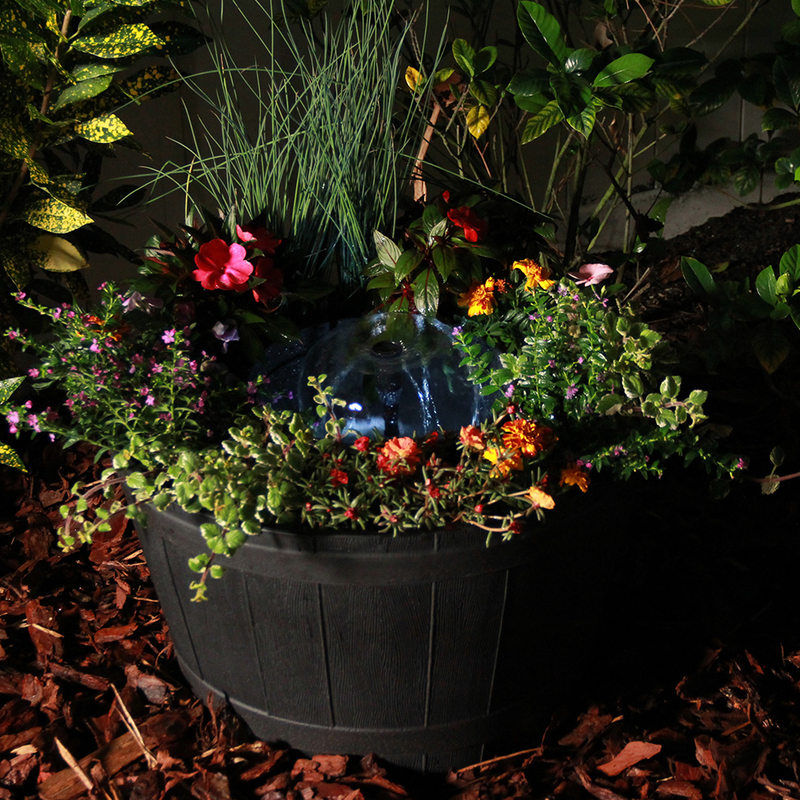 TotalPond’s Container Fountain Kit with LED gives you everything you need to turn your favorite planter into a one-of-a-kind fountain. It's easy to put together and even easier to operate. The kit includes a nozzle kit that allows you try different water spray patterns. You can choose from trumpet, water spray or water bell nozzles. These small artistic pieces are perfect for the porch, patio, or deck. Purchase a couple kits to create themed fountains for weddings, charity events, or other special occasions. 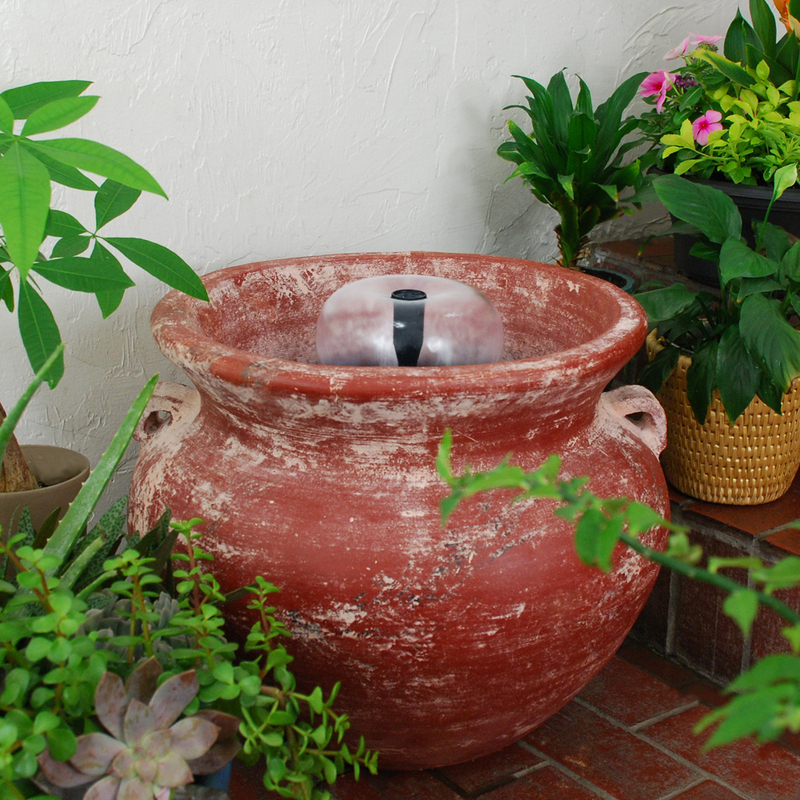 If you decide to change the look of your patio or yard, just put the fountain in a different container. 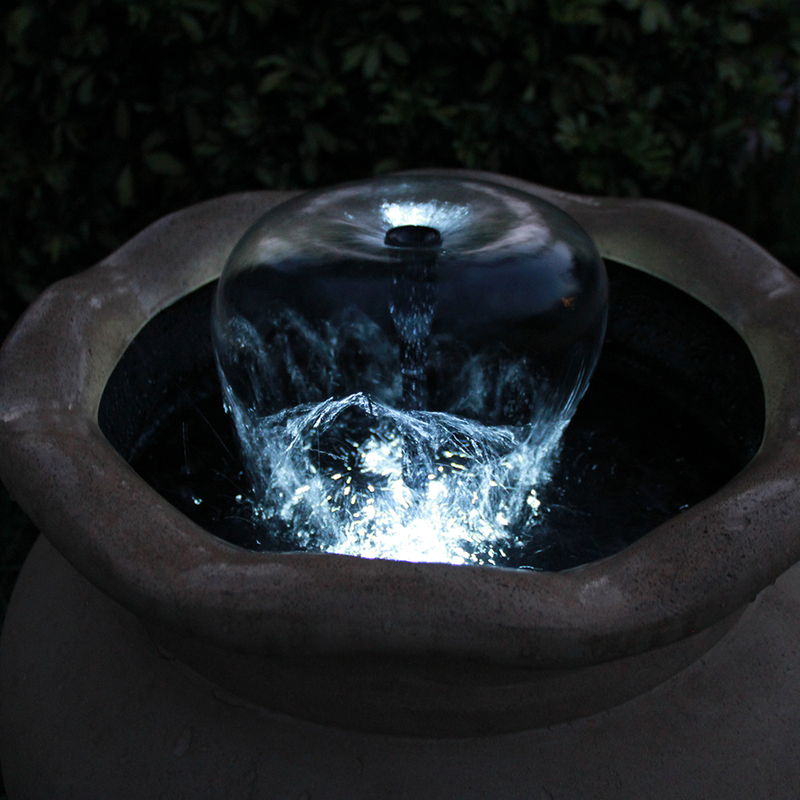 The Container Fountain Kit with Light inspires you to create your own one-of-a-kind, glowing water feature. 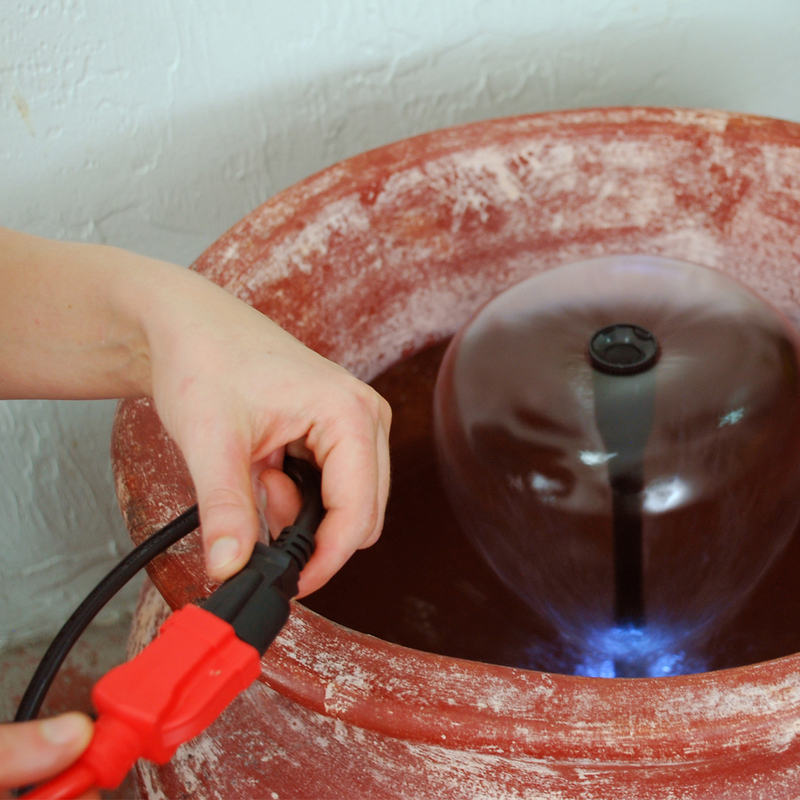 The pump assembly includes a 170 GPH pump to circulate the water, a filter box to protect the pump from debris, and a 10W LED lighted ring to create a glowing effect. The 3 nozzle head options (trumpet, waterspray, and waterbell) aerate and decorate the water. The rubber stopper enables a seamless power cord transition through the bottom or side of your container and creates a watertight seal. The 3 included container stands lift your container, keep it level, and provide space for the power cord to exit. The telescoping nozzle tube extends from 5 to 9 in.